UMIDIGI F1 Play For $199.99 With a 48MP Camera Can Resist Redmi Note 7? 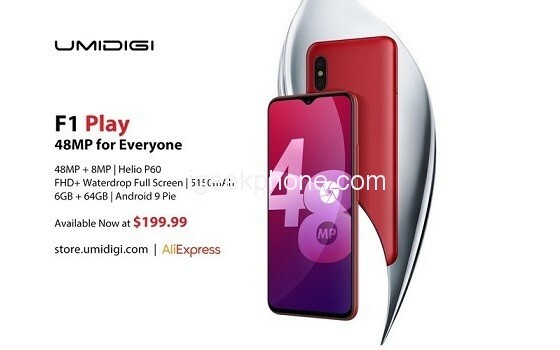 You are at:Home»LATEST NEWS»UMIDIGI F1 Play For $199.99 With a 48MP Camera Can Resist Redmi Note 7? UMIDIGI F1 Play is an improved version of the popular UMIDIGI F1, as well as the company’s second smartphone after the UMIDIGI S3 Pro, equipped with a 48MP camera. New starts in world sales for only $199.99 on AliExpress. 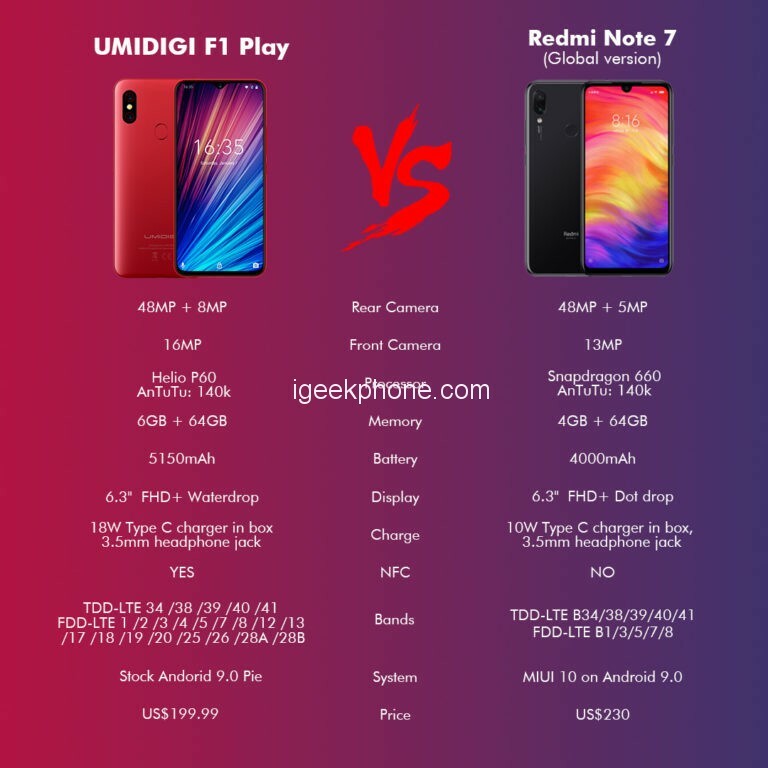 According to a similar specification, the smartphone competes with the famous Redmi Note 7 from Xiaomi, which is much more expensive than new items from Umidigi. So let’s see which one is better? Here is a comparison of these two smartphones. UMIDIGI F1 Play and Redmi Note 7 are endowed with both modern minimal on-screen cutouts. UMIDIGI calls this a “drop-shaped cut”, while Xiaomi calls this a “dot drop” display. Both smartphones are equipped with a 6.3-inch screen with a resolution of FHD + (2340 × 1080). UMIDIGI F1 Play runs on the Helio P60 AI SoC processor, as well as the UMIDIGI F1, and the Redmi Note 7 is equipped with a similar performance Snapdragon 660 processor. In the AnTuTu test, both Helio P60 and Snapdragon 660 score about 140,000 points, therefore, they both show good performance, and both pull heavy games. As for memory, buying UMIDIGI F1 Play for only $200, you get 6GB of RAM and 64GB of internal memory, unlike Redmi Note 7 with its 3GB of RAM + 32GB of internal respectively, and for the same money. UMIDIGI F1 Play boasts a huge battery, with a capacity of 5150mAh, while the Redmi Note 7 is charged at only 4000mAh. Both smartphones support fast charging of 18W, but the essential difference between the UMIDIGI F1 Play from Redmi Note 7 is that the first one is equipped with an 18-watt Type-C charging cable, unlike a competitor that has only a 10-watt charging cable included. Both smartphones are equipped with a 48MP main camera with a ½ ″ sensor and 1.6 micron superpixels (using the technology of combining 0.8-micron pixels into one in low light). At the same time, the second main camera in UMIDIGI F1 Play has a lens of 8MP, against a 5MP Redmi Note 7. When buying a smartphone, selfies will prefer UMIDIGI F1 Play, because the front camera is 16MP, while Redmi Note 7 has a total of 13MP. UMIDIGI F1 Play running the latest stock Android 9 Pie right out of the box. Redmi Note 7 also works on its own MIUI 10 based on Android Pie. Both devices have a 3.5 mm headphone jack. But with UMIDIGI F1 Play you will be able to access Google’s wireless pay calculations and wireless transport payments, thanks to the NFC function, while Redmi Note 7 is not even a competitor at this point. In addition, UMIDIGI F1 Play supports world ranges, and Redmi Note 7 – only local. 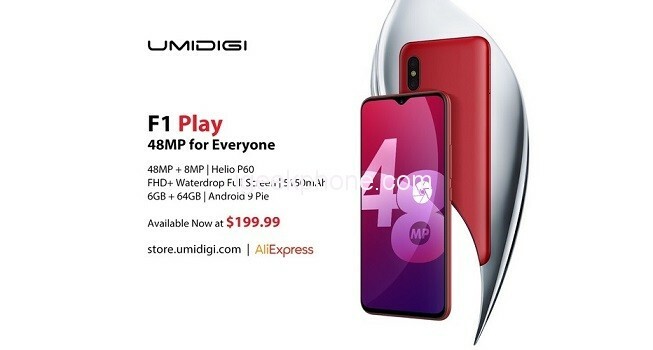 UMIDIGI F1 Play at the start of sales of only $199.99 on AliExpress. Moreover, in comparison, it showed the best set of specifications, and the price is lower than that of its competitor, the Redmi Note 7. The premium UMIDIGI F1 Play with 6GB and 64GB of memory costs only $200, and the basic Redmi Note 7 with 3GB of RAM and 32GB ROM is also estimated at $200. If you want an improved version of Redmi Note 7, for example, with 4GB of RAM and 64GB of ROM, you will have to pay at least $230.